Make your room safer, quieter and more energy efficient! Use PVC strip curtains in all places where doors are undesirable or impossible for your staff and equipment. The PVC strip curtains we offer are robust, flexible and reliable. The PVC strip curtains have numerous applications and are an economical way to control unnecessary waste of energy. 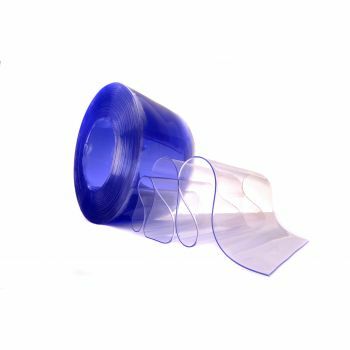 Our impressive range of PVC strip curtains and flexible transparent PVC vinyl will certainly be useful for your application and can easily reduce your costs. In addition to allowing excellent microclimate control, PVC strip curtains improve the comfort of the work environment for people and are a good alternative to many heat and sound insulation materials. 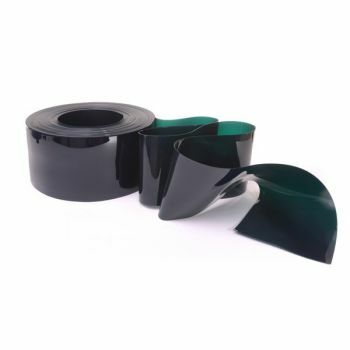 The PVC strip rolls serve for the manufacture of doors, room dividers, food preservation and others. 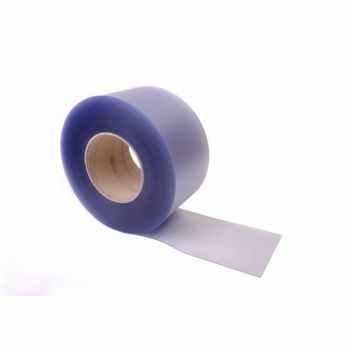 The PVC strip rolls help keeping goods from spoilage, can be used as a protection during welding activities and many others. etc. PVC clear strip doors, or pvc strip curtains, are a great way to reduce energy costs and separate workplace environments. 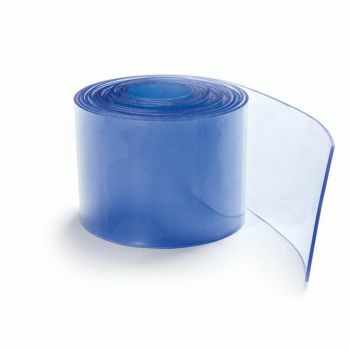 We offer the widest variety of PVC strips to meet your exact needs, from industrial and warehouse applications to walk-in freezer curtains and personnel doors. Save Energy - All of our PVC strips are designed to control te.. The stainless steel hook on system is pretty easy to install. The PVC Strips are hooked on and off in seconds. This is the most simple and quickest method for hanging PVC strip curtains. The hook-on system for PVC strip curtains is also available in galvanised steel for industrial applications. 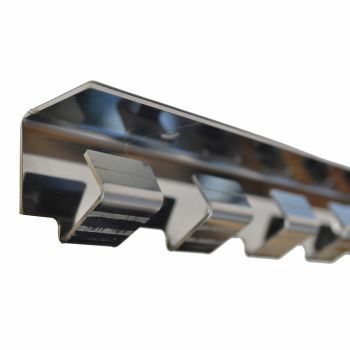 The set includes the metal plates, the nuts and ..
Soft PVC Strip curtains, offering temperature control for walk in freezers & vast energy-savings. 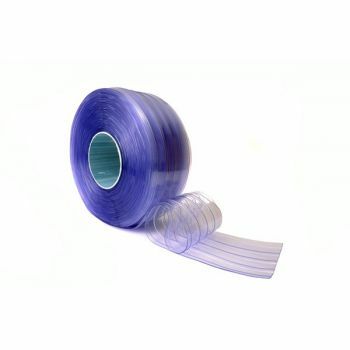 Clear PVC strip – Freezer Grade is recommended for use in freezer applications operating between +30°c to -40°c. The PVC operates best in applications where the temperature is constantly below -0°c, above this temperature th..
GREY PVC STRIP ROLLS - HIGH GRADE PVC ROLLS Grey PVC Range: +50 / -15° for access point denotation and corporate branding. High Quality, grey PVC - Ideal in the office environment for privacy and brand image. 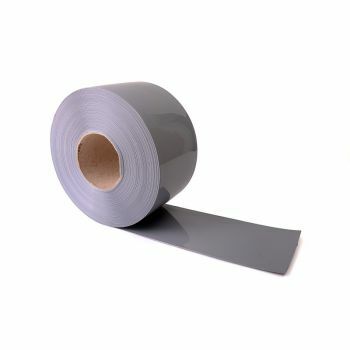 Grey PVC Strip are recommended for use in ambient temperature applications operating between +50°c to -15°c Our colour ran..
RIBBED PVC STRIP ROLLS Ribbed PVC - Standard Grade is recommended by us for use in ambient temperature applications operating between +50°c to -15°c. Ribbed PVC is usually used instead of flat pvc strip for applications that specifically require ease of access and durability in the strip. The thick ribbed protrusion ensures that core..
Welding Grade PVC Strip Curtains Welding grade pvc strip curtains are designed to deliver a safe, durable and economical barrier against sparks and welding arc flashes. Welding grade material will protect your workers from harmful UV rays omitted during the welding process. Our green welding grade PVC rolls are manufactured to protect worker..
Frosted PVC strip rolls are designed for use in normal temperature environments and are generally used in the manufacture of PVC strip curtains, creating clouded, privacy barriers ideal for use in environments that need to allow light in and to for shapes and figures to be seen but want to retain privacy and keep prying eyes away. 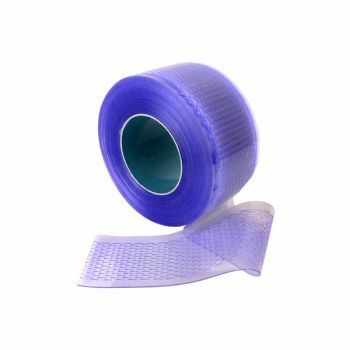 The PVC strip is..
PERFORATED PVC STRIP ROLLS - FLY & PEST SCREENS Perforated PVC Strip is recommended by us are for use in ambient temperature applications operating between +50°c to -15°c. Perforated PVC was designed as an alternative to Insect Mesh and contains small perforations throughout the width and length of the pvc strip. 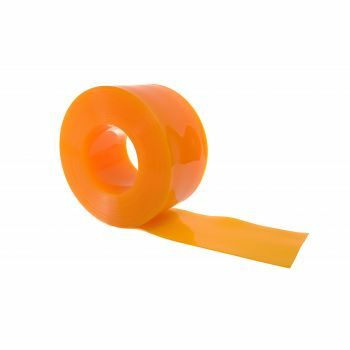 It’s ..
Yellow Anti-insect PVC strip rolls Anti-insect PVC Strips are recommended by us as a material that contains Citronella - a scent that is known to deter, bees, wasps, flies and other airborne pests. The PVC strip is also translucent yellow in colour - the colour yellow is a well know repellent for flies and insects. Thes..